Install WordPress automatically through c-Panel. 1-click installation. ** I highly recommend to upload the file using FTP uploader (preferrable Filezilla). This is because the file won’t be stored into wp-content/uploads, smart blogger can download your file if you were uploaded through plugins in WP-Dashboard. Sample of my Website built with Flexibility Theme -A nice Adsense Customization theme. 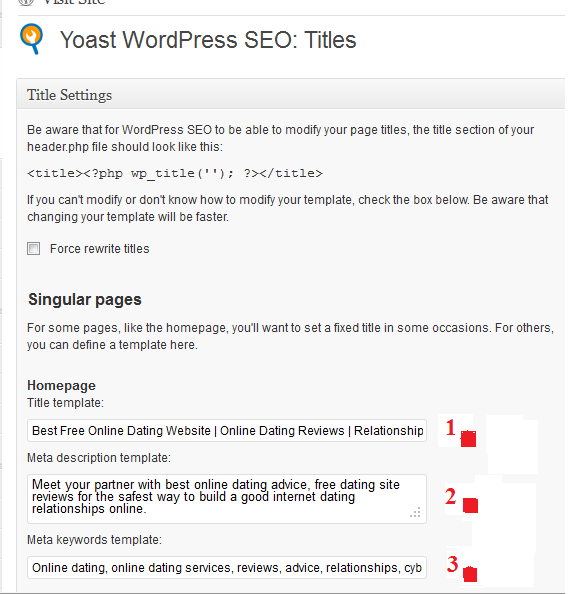 (2) From you WP Dashboard, Point to Plugins, click drop down menu, select Add New, Search ” plugin-central “ without quote. Install & Activate plugin-central. (3) Add the following plugins manually: Also, add manually if any of the above failed for a reason. -Create a new page for each separately. -Edit with Notepad as shown image below. 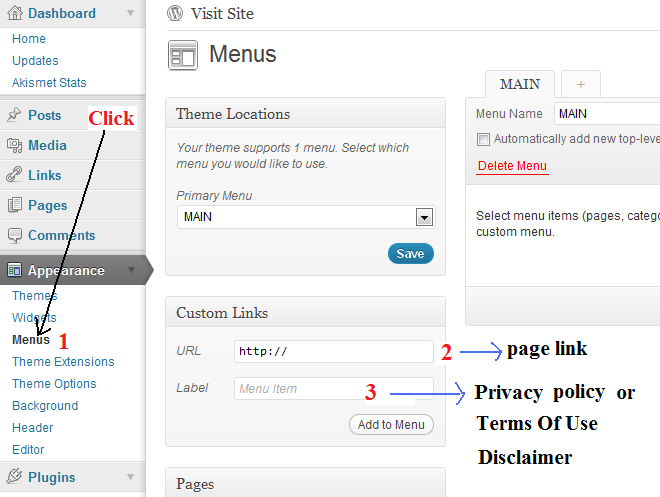 If you would like to add Footer link, change yourdomain to your URL link and paste into footer. What if you didn’t find the footer link? Mouse pointing to appearance, click editor, select footer and paste the above code into any space of your chosen. Fully edited by me. All you just need to do is edit 3 settings with your site Title , Description and Meta Keywords. I save the setting by clicking on SEO – “Import & Export” , then select export the setting for new blog. (6) Latest Update: Recommend – Spam free protection. I had tested it and managed to stop the auto-commenting.